While you may wear armor to keep your limbs protected in battle, you might also look into arm and leg padding to keep your limbs comfortable and protected from the armor itself! Shop this section for our limb-protecting arming wear. 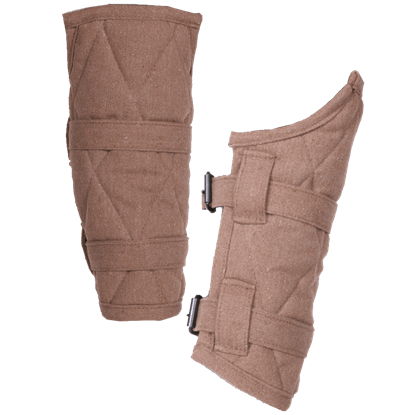 We carry padded bracers and greaves to wear under leather or steel bracers and greaves, padded sleeves for more comprehensive arm protection, and padded tassets to protect the thighs. All sorts of warriors can take advantage of arm and leg padding, whether worn on its own as part of a costume, used as light armor, or layered for comfort and protection. If you are wanting to wear armor, whether for reenactment, LARP, or costume use, be sure to wear it as comfortably and safely as you can with a protective layer from our arm and leg padding selection here. 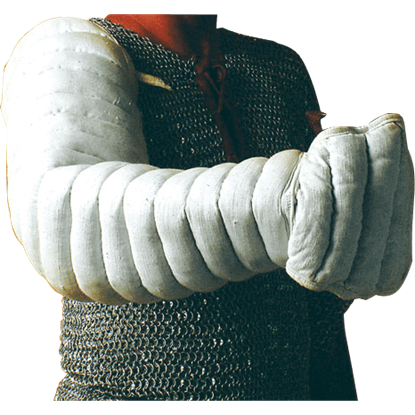 Keep your arms in good shape during your next battle with the help of this excellent medieval armour padding. 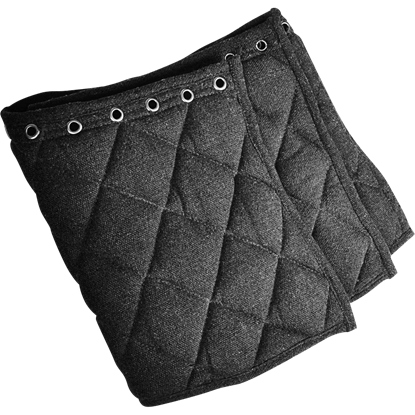 The Arthur Padded Bracers are ideal for keeping your re-enactment armour from chafing or pinching as you fight. 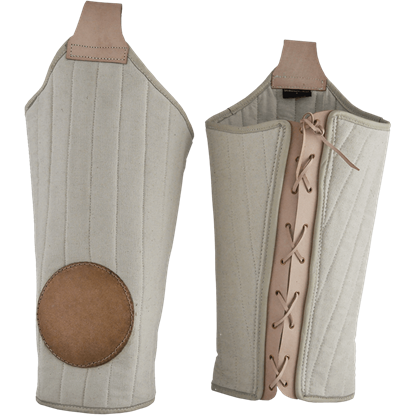 Keep your legs in good shape during your next battle with the help of this excellent medieval armour padding. 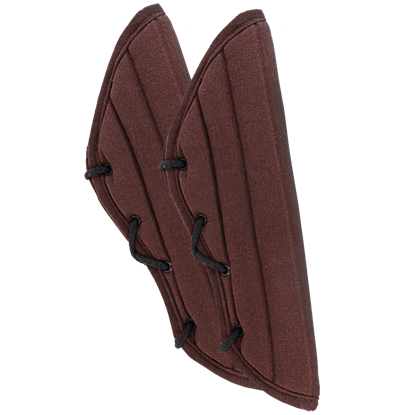 The Arthur Padded Greaves are ideal for keeping your re-enactment armour from chafing or pinching as you fight. The Arthur Padded Sleeves are made to match the Arthur Padded Gambeson (MY100134) with eyelets at their top for easy attachment. These sleeves are made of canvas with a polyester padding and feature a diamond shaped topstitch. Add the Arthur Padded Tassets to your arming wear for extra protection and style. Made to accompany the Arthur Padded Gambeson (MY100134), these tassets have a sturdy cotton canvas outerlayer with protective polyester padding. 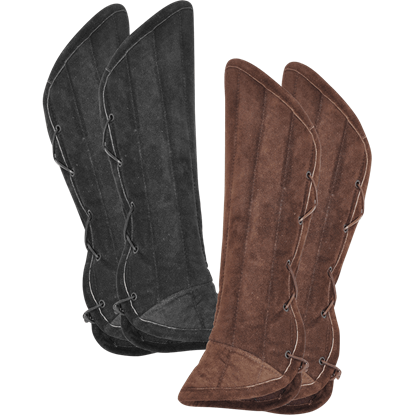 The Crusader upper leg padding provides padding to the thigh area and laces up in the back of the leg for adjustability. The Crusader upper leg has a re-enforced knee made of leather to prevent damage to the knee or tearing of the pad. Experienced warriors know the value of good armour padding, which can mean the difference between comfort and chafing or pinching. The Leopold Padded Bracers will keep your forearms in good shape while you trounce the enemy. Experienced warriors know the value of good armour padding, which can mean the difference between comfort and chafing or pinching. 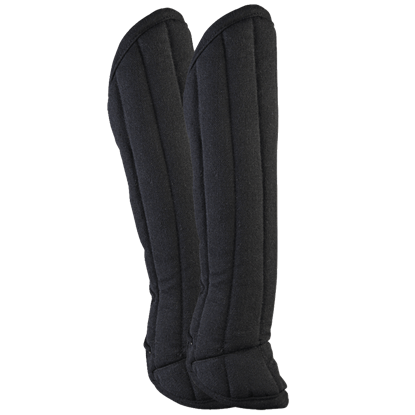 The Leopold Padded Greaves will keep your lower legs in good shape while you trounce the enemy. Increase the comfort and fit of your bracers while avoiding unnecessary pinching, scratching, and bruising. 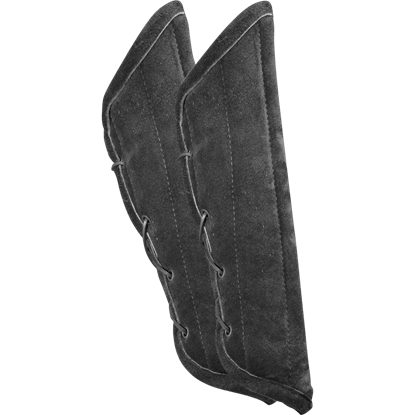 The Leopold Suede Padded Bracers offers an extra layer of protection to your forearms, enhancing your defense when LARPing. While a good suit of armour is necessary on the LARP battlefield, the armor itself can create uncomfortable pinching and bruising. 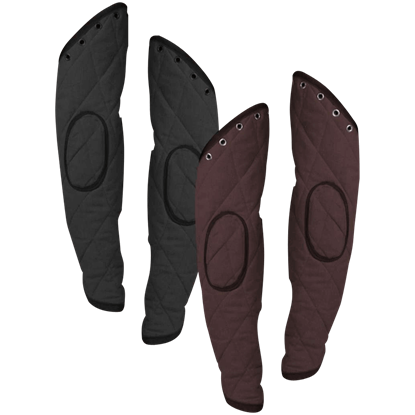 Enhance the effectiveness, comfort, and fit of your leg armour with the Leopold Suede Padded Greaves. Staying mobile in battle is critical, which makes leg protection like the Leopold Thigh Padding an essential piece of your re-enactment gear. 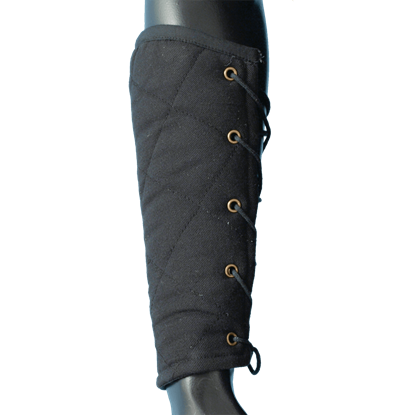 The arming wear offers comfort, making it easier to wear full leg guards for longer. 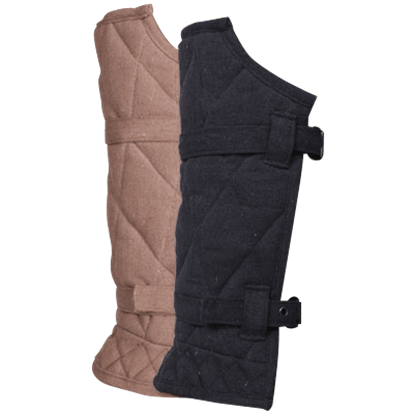 These padded arm bracers are great to wear under steel or leather arm bracers. They will prevent any skin pinching and stop your bracers from sliding around. Made from padded, quilted black fabric and lace up in the back for closure.